A new study reveals that we really are “what we eat". 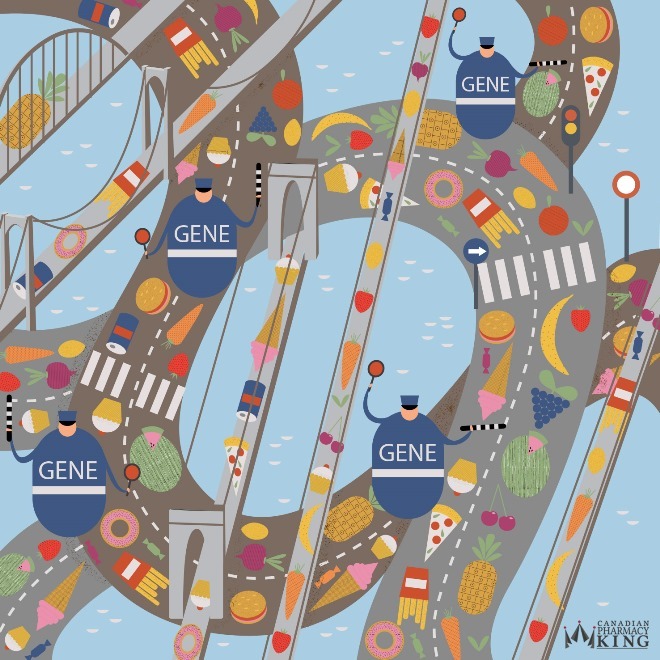 Our genes regulate how the food we eat is broken down, but also the food we eat regulates our genes. A human body is not just a product of genetics, but also epigenetics, which can modify the genome. The epigenetics “live" in DNA and can alter genes or bits of DNA. The team of scientists also found out that metabolism plays a very big role in gene regulation. Liubov Edwards is an illustrator and graphic designer from Falmouth UK; she has been worked for online pharmacies Canada since Dec 2011. Use this code to share the image on your blog or website.